There was very good news in last Wednesday’s Albuquerque Journal. 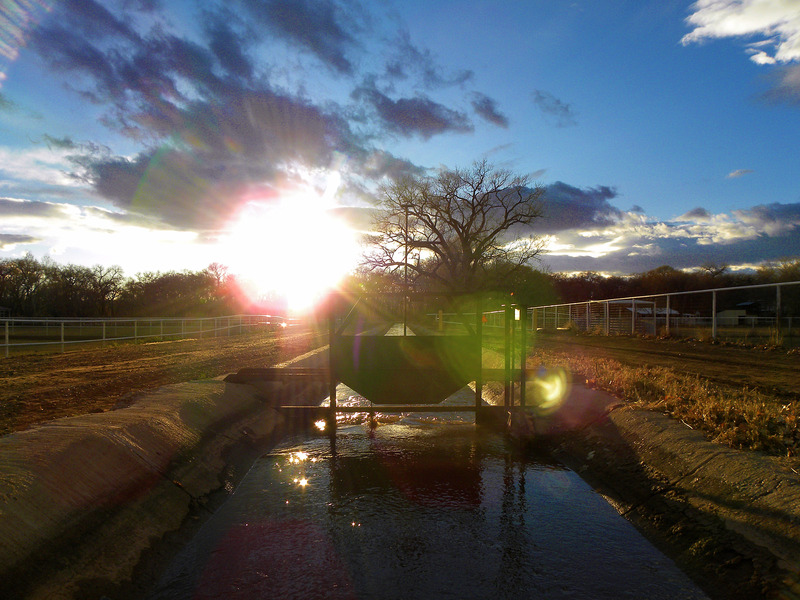 The gates were opened at Diversion Dam and the Middle Rio Grande Conservancy District was moving water again. Oh yeah. We were excited. 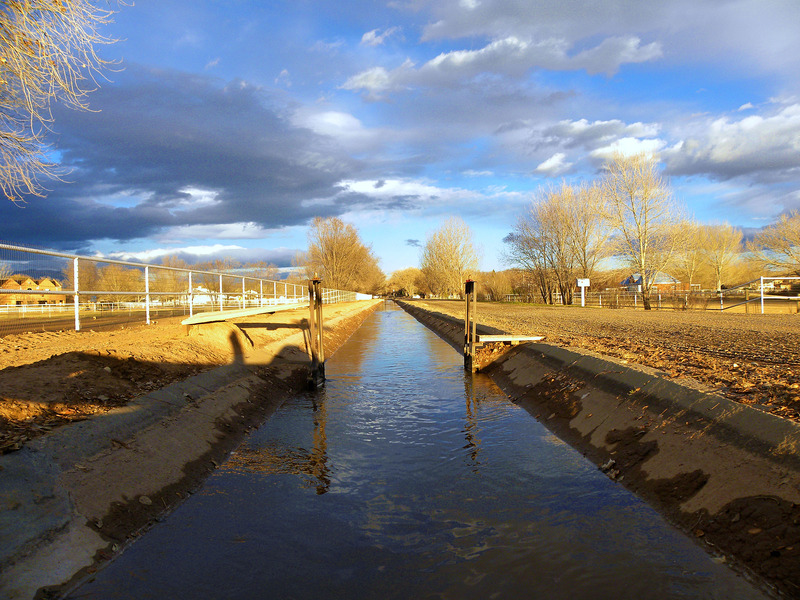 In a nutshell, the conservancy district supplies irrigation water to about 62,000 acres of New Mexico’s farmland from Cochiti Dam to Socorro. 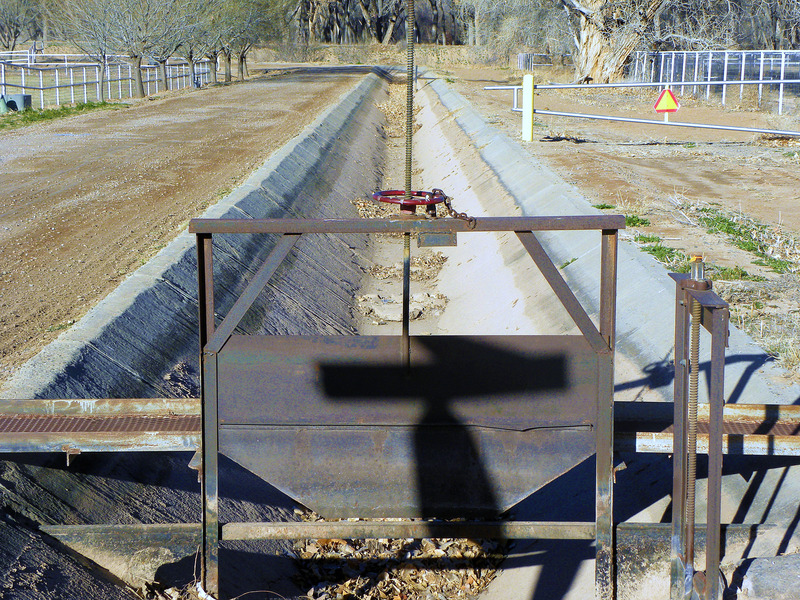 From March through October, four small dams divert water from the Rio Grande into a network of 400 miles of irrigation canals, one of which runs right in front of Morning Bray Farm. And the boys can start dreaming about green pastures once again. They are dreaming hard. Flat out napping. Glad they have green pastures to look forward to. Now that’s a sure sign of spring. Party in the pasture! 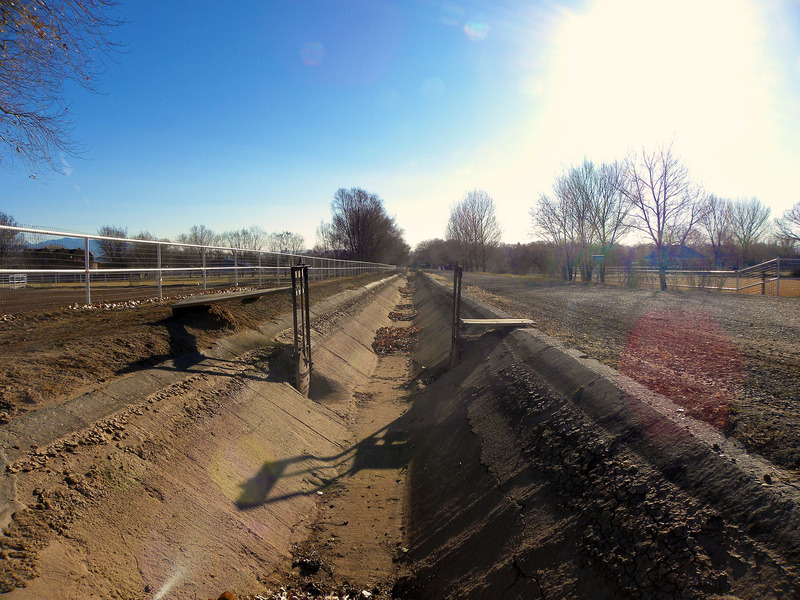 Wow – it must be so cool to hear the water arriving every spring, rushing down the formerly empty canal! Hurray for green pastures! I bet it’s a happy day when the water comes! I love the boys napping … enjoying the springtime sunshine! Water. Glorious water and all that it brings. How different the canals/ditches look with water running through them.